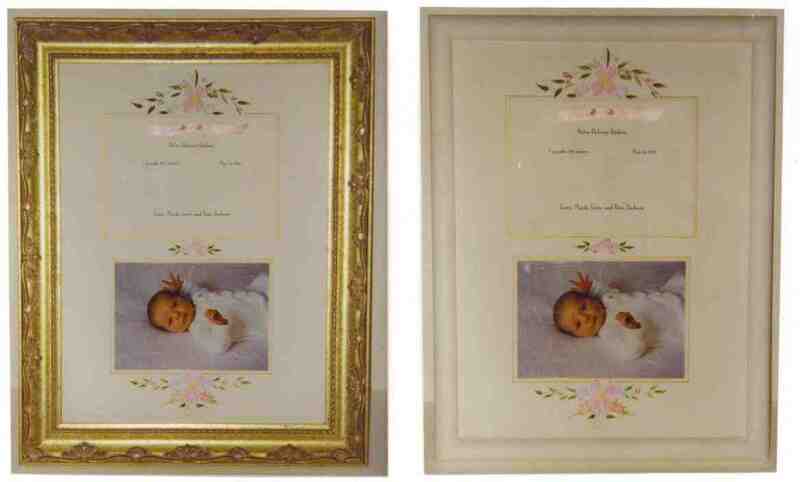 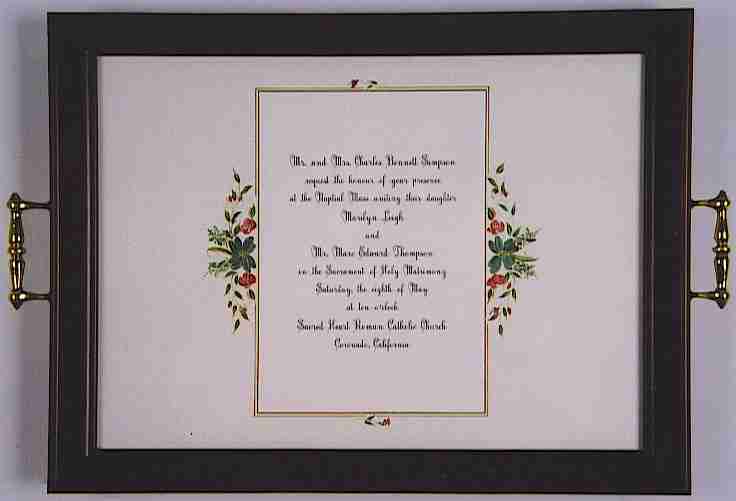 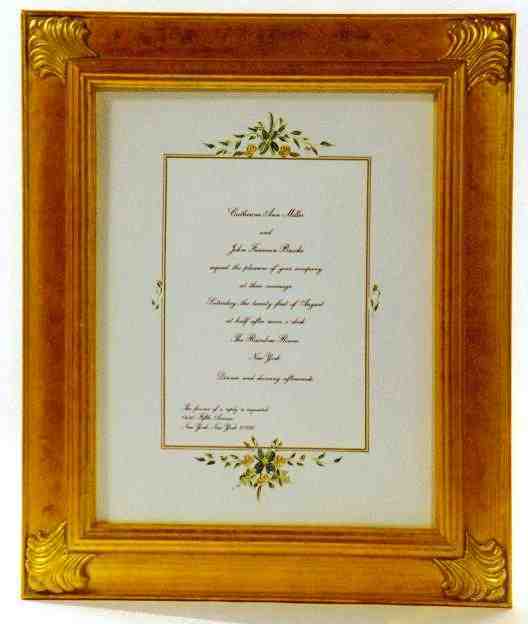 Framed Invitations can turn your invitation into a treasured family heirloom! 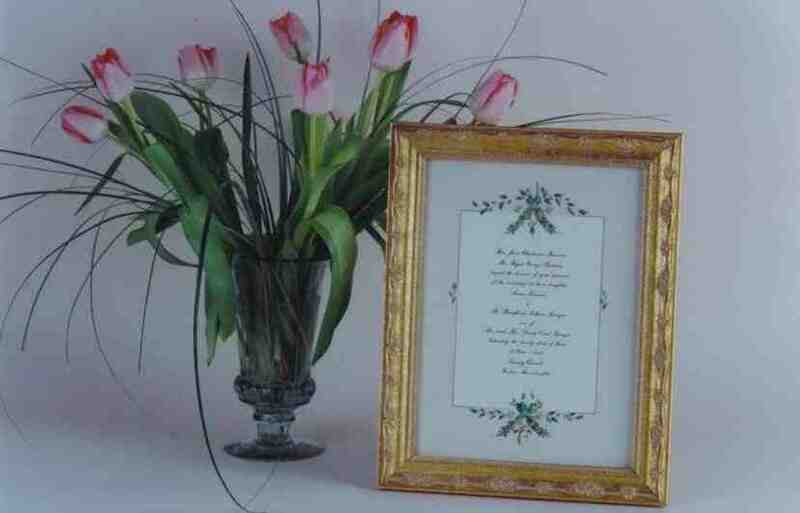 The mat will be hand-painted by the artist in colors that you choose to coordinate with your invitation. 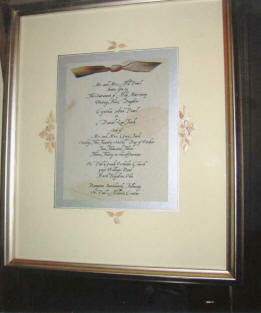 Artwork can be on sides, top/bottom, or diagonal corners. 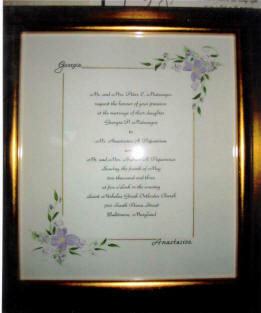 CLICK HERE or use the form below to request pricing and ordering instructions. 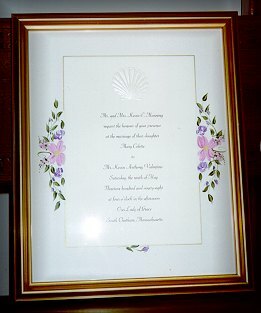 This artist does exquisite work. 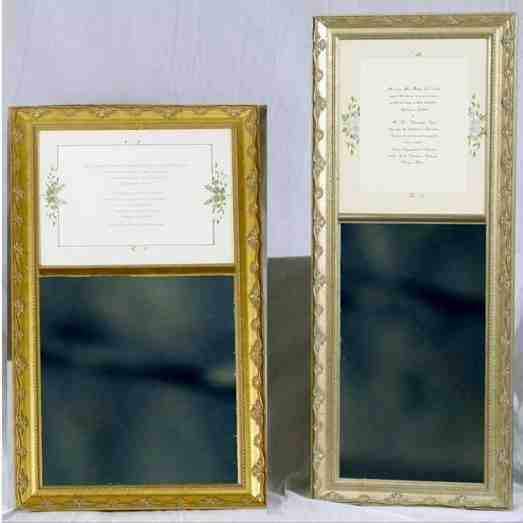 Silver or Gold frames (with or without mirror below).